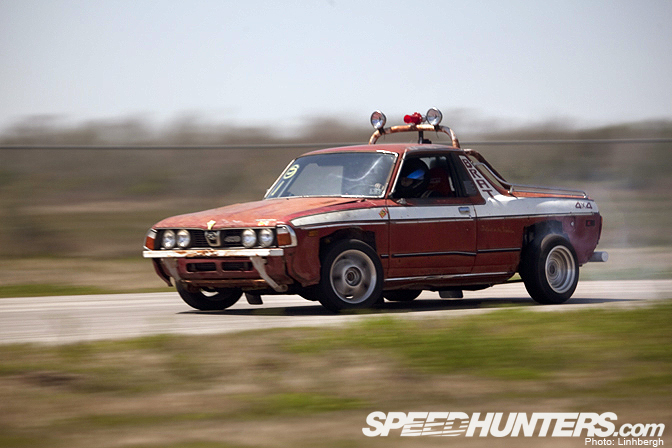 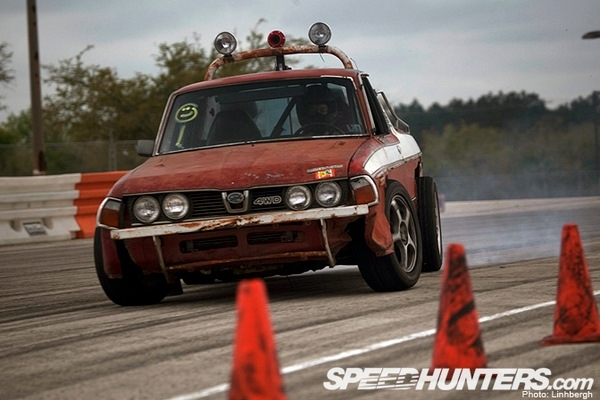 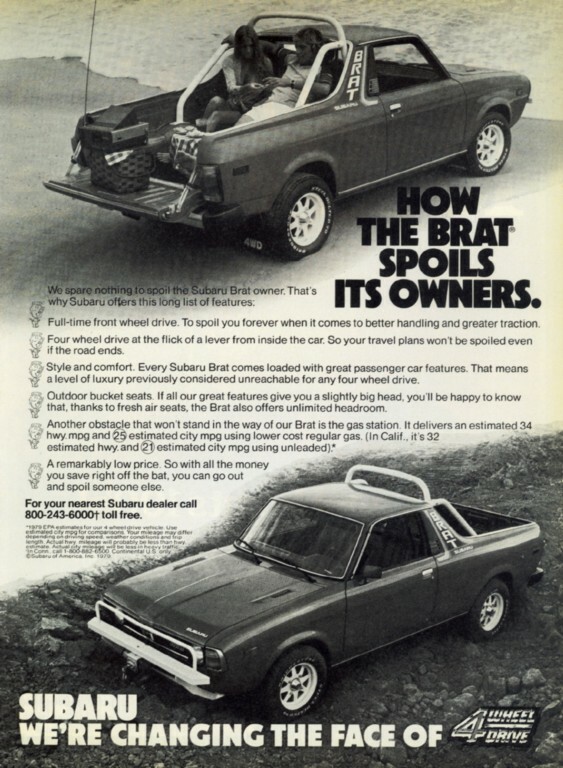 Pictured below are various images and photos of the BRAT. 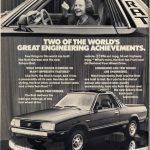 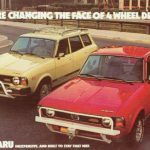 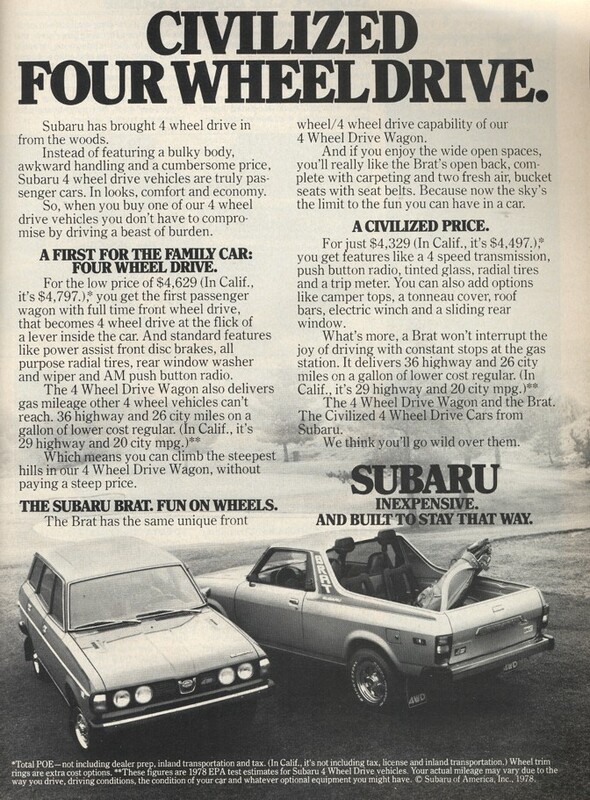 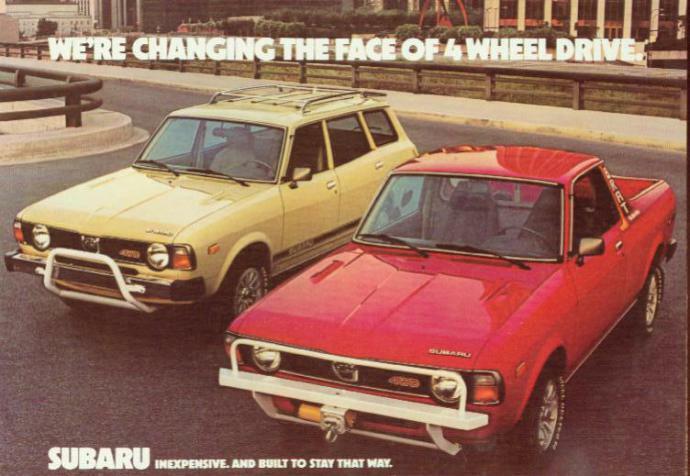 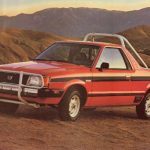 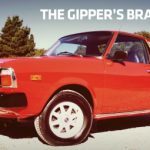 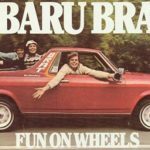 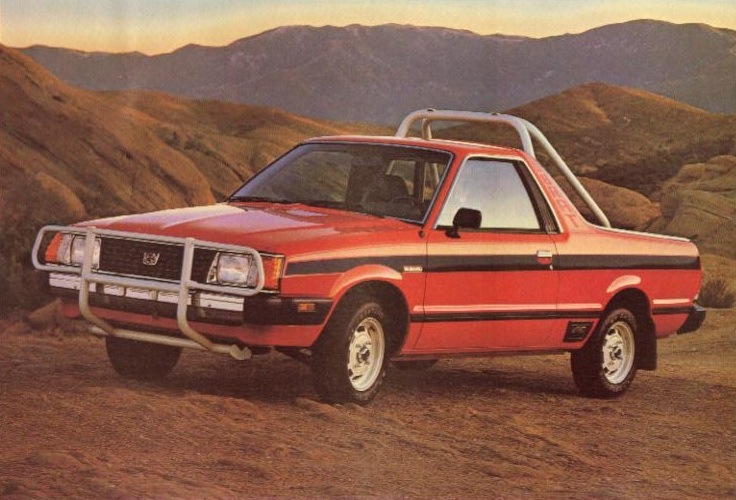 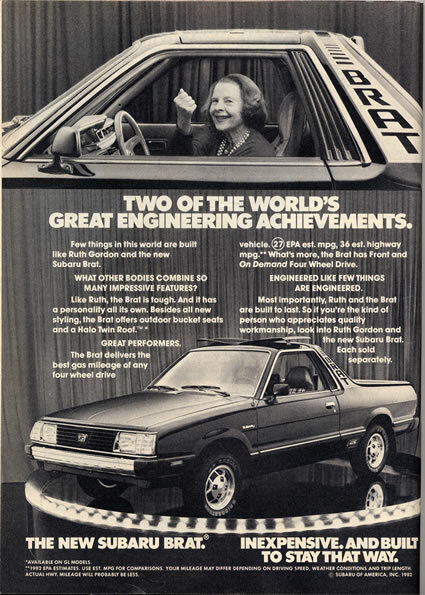 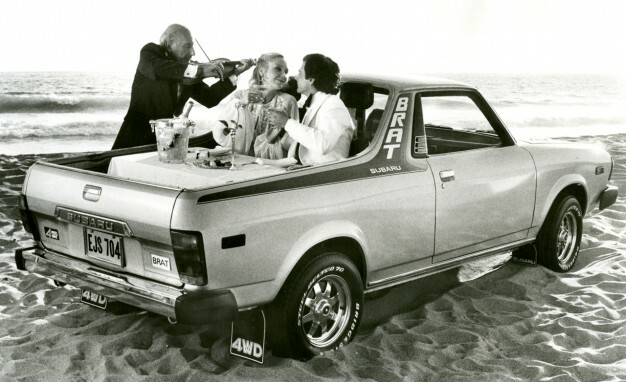 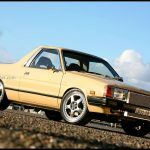 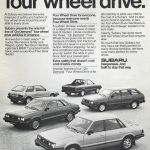 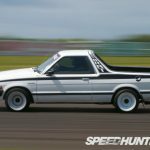 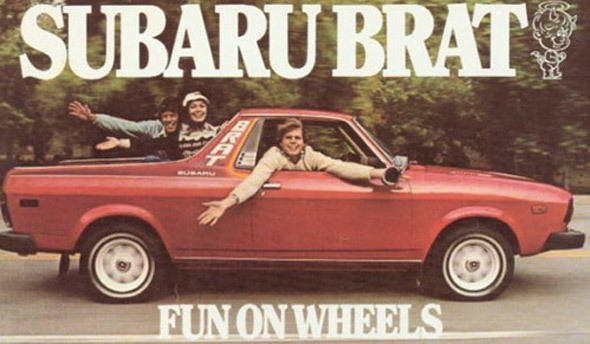 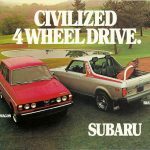 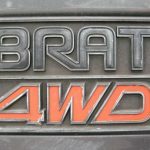 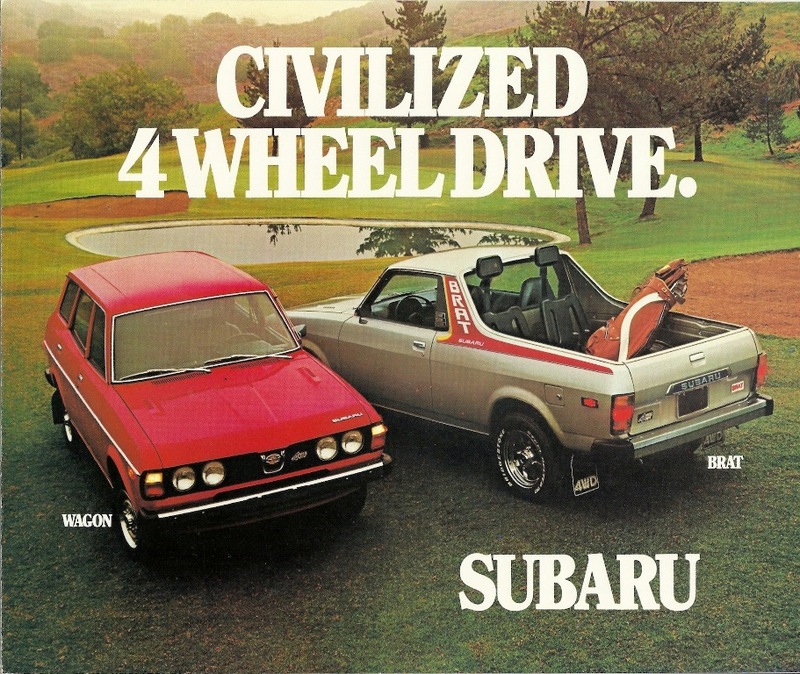 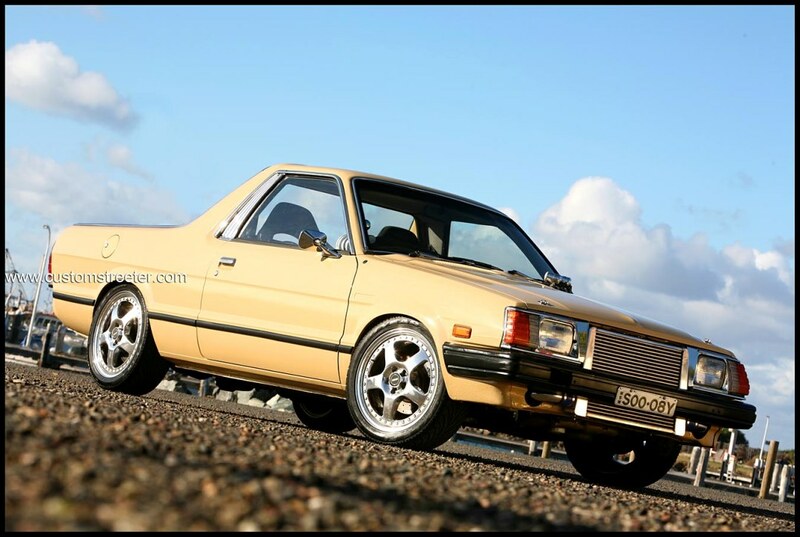 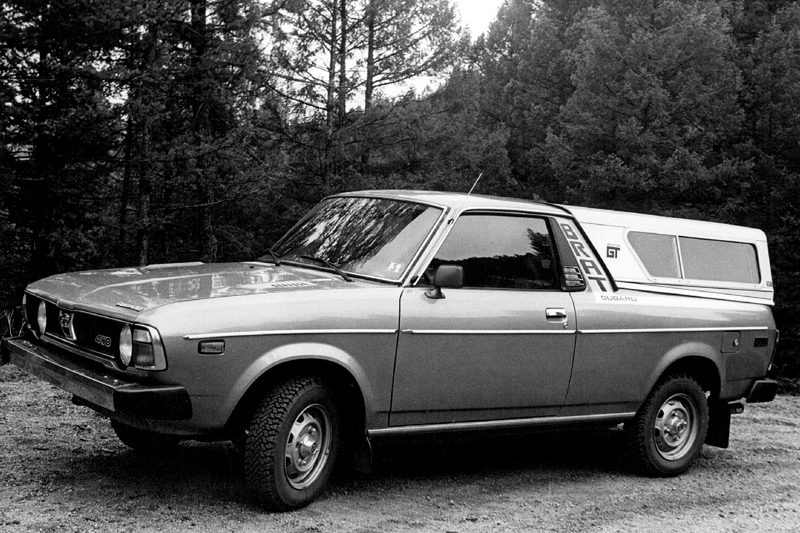 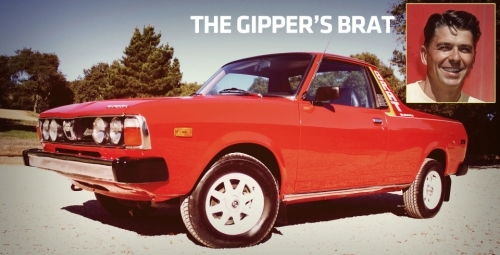 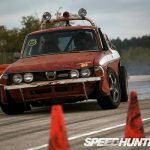 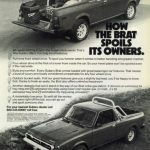 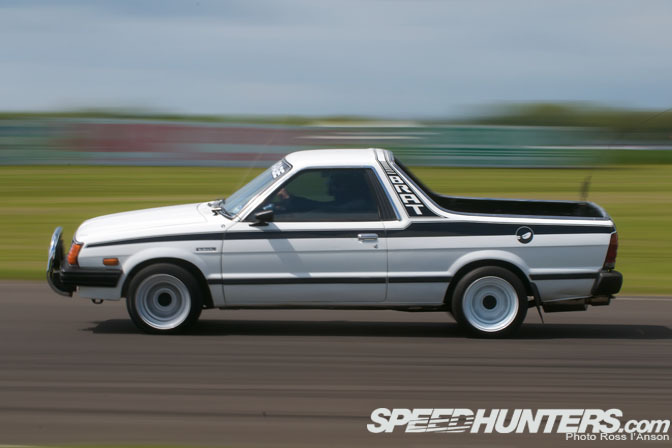 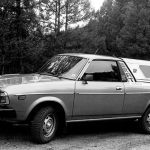 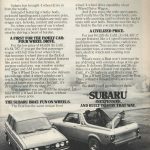 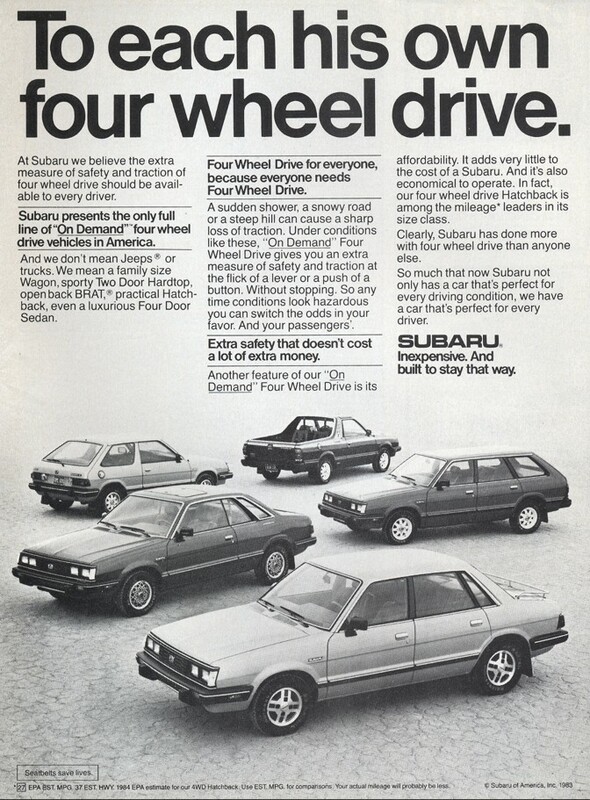 The pictures are primarily vintage Subaru ads, unique customized BRATs and other professional photos. 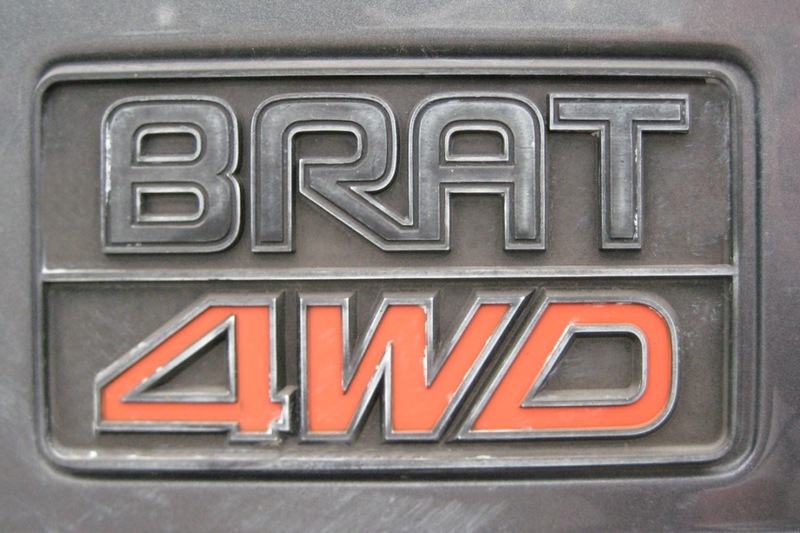 Please note that none of these images are owned by BRATForSale.com; all rights reserved by respective owners.